A hilarious Christmas mod for the famous Troll Cannon! 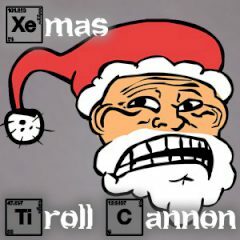 Shoot the Trollfaces with a huge cannon to make them reach the targets such as Santa's sleighs, jetpacks and other transport which will help them to leave the level. The less shots you use, the more points you get.